This dish is well-known in my father’s town of Ragusa. It is served cold or at room temperature. 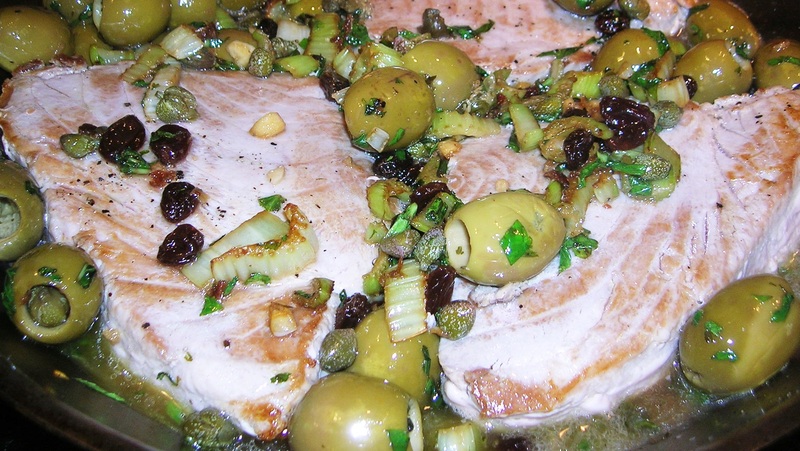 The tuna can be broken in pieces and served with the accompanying olives, capers and celery. In the tradition of a caponata, Tonno a la Stemperata is traditional Sicilian dish bursting with flavors of vinegar, olives, mint, capers and garlic. I actually enjoy eating this dish in all its stages, hot, room temperature and cold. It takes on a different character at each level. But I like it best the next day with a loaf of Italian bread and a glass of beer. It’s a perfect summer time meal, prepared the previous day and eaten cold with a salad at your leisure. 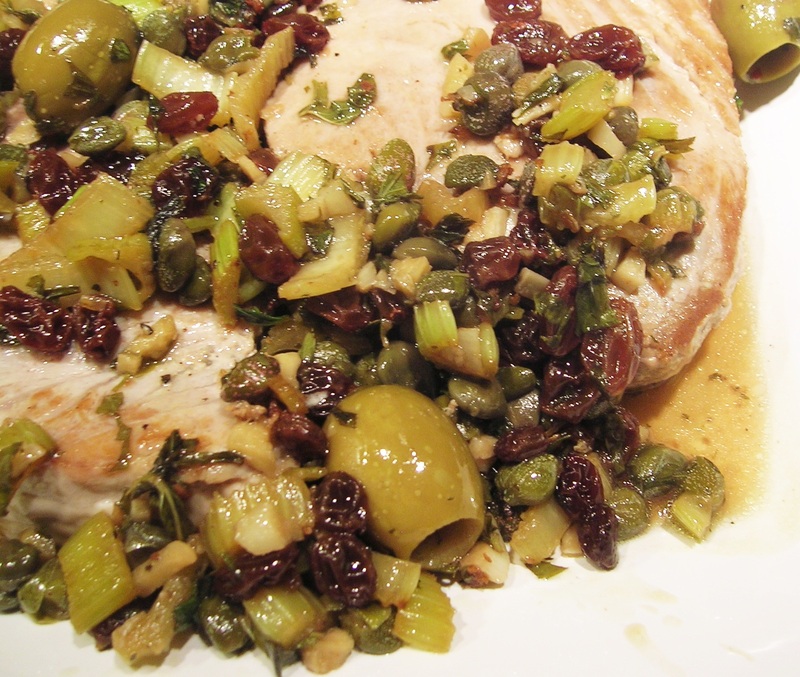 Don’t be afraid of the raisins, like many ingredients, they take on a totally different flavor when prepared this way and lend just a touch of sweetness to the vinegar and briny taste of the olives. A sweet, sour, savory experience with a background of mint. An outstanding flavor experience! Hope you enjoy it. 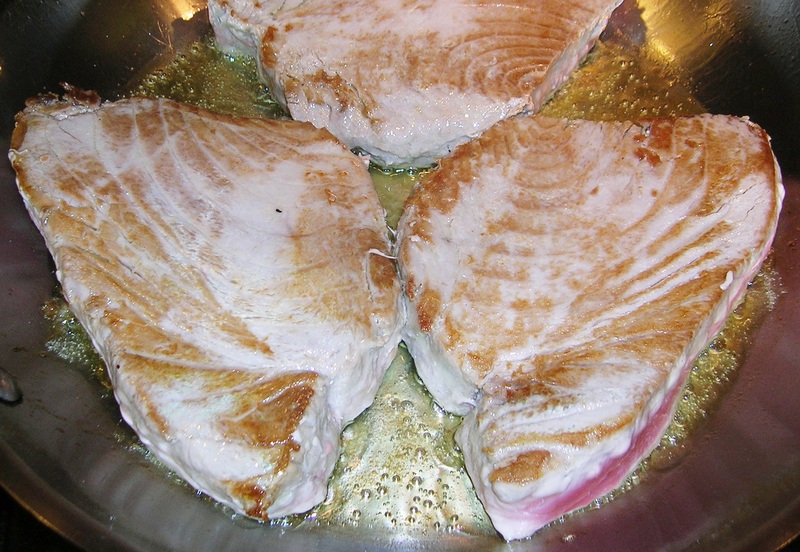 Brown the tuna fish in the olive in a frying pan over medium high heat, about 4 minutes each side. Remove the fish and place on a plate. 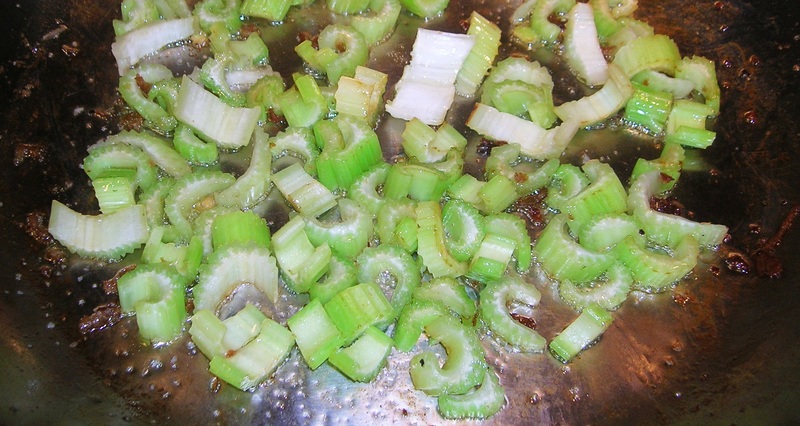 In the olive oil left in the pan, cook the celery till tender. Add the garlic and cook till the garlic just turns golden. Do not burn. 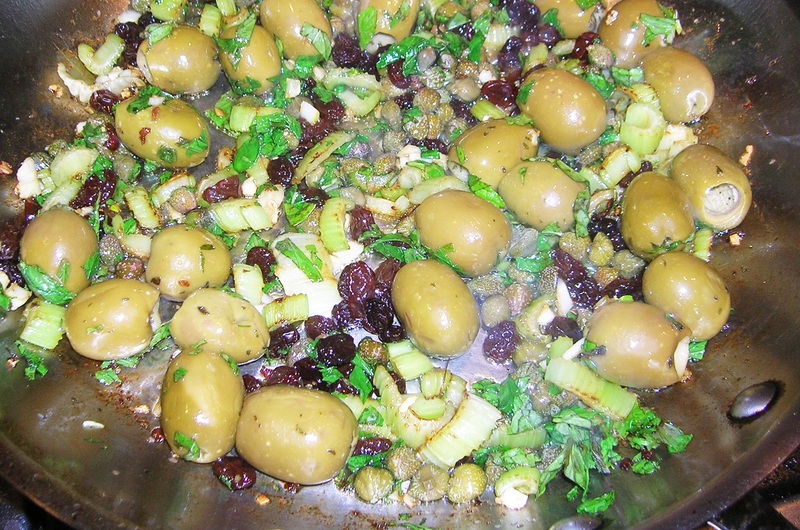 Add the olives, capers, mint and raisins. Cook for about 3 minutes. Put the fish back in the pan and add the vinegar. Season with salt and pepper and cook for 3 or 4 minutes more, until tuna is cooked till desired doneness. Plate the fish with all the condiments. This dish is best serve cold. 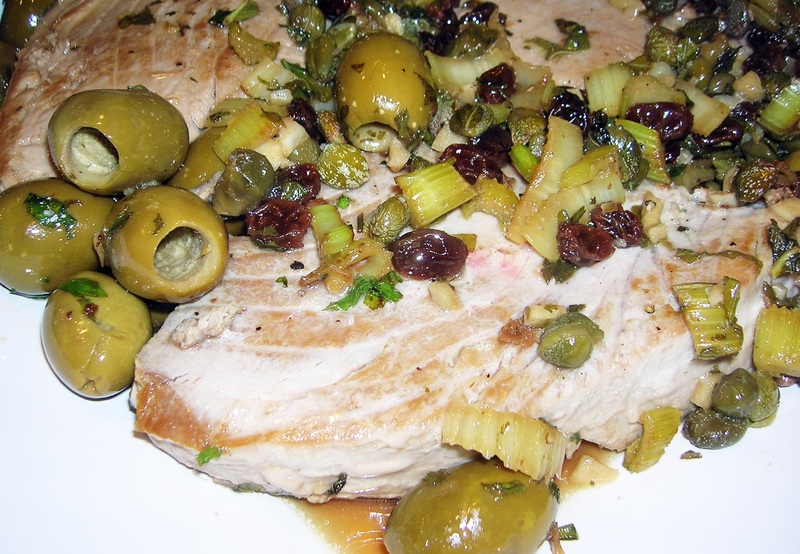 This entry was posted in Seafood and tagged tonno a la stemperata, tuna in vinegar. Bookmark the permalink.